NASA’s Aerospace Safety Advisory Panel (ASAP) was established in 1968 in the aftermath of the Apollo 1 fire to evaluate NASA’s safety performance and advise the agency on improvement strategies. 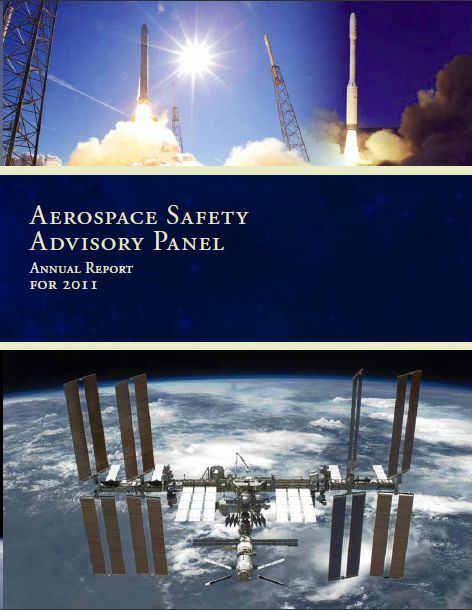 ASAP is required by the US Congress to submit an annual report to examine NASA’s safety culture as well as compliance with the Columbia Accident Investigation Board recommendations. ASAP’s 2011 report was released on January 25. The report focuses attention on funding and acquisition strategies for the Commercial Crew Program, which this year switched from using Federal Acquisition Regulations (FAR) based contracts to Space Agreement Acts (SAA). The FAR contracts allow NASA to mandate that specific requirements – such as crew safety – be met, whereas under a SAA arrangement, NASA can encourage such compliance but not mandate it. Selection of the SAA approach significantly cuts oversight costs for NASA. The US Government Accountability Office had criticized a plan by NASA to return to the FAR contract system in late 2011, noting that “NASA’s ability to execute its approach as currently planned is unlikely,” given current funding levels from Congress. ASAP’s report also discusses NASA’s Space Launch System, the re-entry plan for ISS after decommissioning, and NASA’s alcohol use and testing policy. ASAP gathers information from direct observation of NASA facilities as well as holding public fact-finding meetings.